Christmas is celebrated on 25th of December as the birth anniversary of Jesus Christ, who is the founder of Christianity for the welfare of the mankind and for showing the correct path of life for the human beings. This festive occasion is celebrated wherever there is Christian population across the world. This is not just a one day event. In fact, it is the festive season of more than a fortnight that is being celebrated together for singing jingles, dancing together and praying the almighty lord for peace and happiness for everyone. 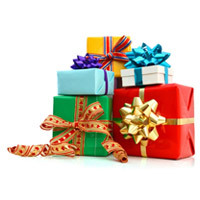 Distribution of fantastic toys and gifts through Santa Clause can be a great attraction of the Christmas celebrations. All the households and stores would install decorated Christmas Trees on this festive occasion and there would be lighting decoration with strings and star lamps throughout the areas. 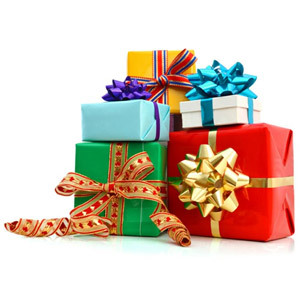 It has been a century old tradition to present Christmas gifts to the close friend, relative and neighbors. There are online gift stores that offer fantastic gifts for this festive occasion through a dedicated segment of different gift ideas. 10. May be Christmas be thoughts doesn’t come from a store; May be Christmas perhaps means a little bit more. 9. I want a Christmas that whispers Jesus! 8. Make it a December to Remember! Merry Christmas! 7. Neither a tiger or a deer from any zoo; All I need for Christmas is just YOU! 6. Christmas is not a season, it’s a feeling! 5. As like a thunderstorm, Christmas is mandatory for all of us. So, let’s enjoy the ride together. Merry Christmas! 4. It’s not what lies under the Christmas Tree that matters; it’s who is around it! Merry Christmas! 3. Every time a bell rings… An angel gets his wings! Merry Christmas! 2. Time to get into the Christmas Spirit… Gin, Vodka, Whisky! 1. The best way to spread Christmas cheer is to singing loud for all to hear!!! This would be one of the best online Christmas gifts as it would be most appropriate for the occasion. All the recipients would enjoy every bite of this delicious surprise that would add to the delight of the festive celebrations. Chocolates and cookies are loved by all the people irrespective of their age and the level of maturity. Mouth watering chocolates and cookies would turn all the people into kids. Thus, this gift can be the mode to bring all the family members together to enjoy the delicacies. To add beauty and glory to the Christmas gifts we send to loved ones and present the loved ones personally; we can add Christmas Greeting Card carrying jingles or wishes for Christmas. The idea would be to spread the joy of the festive season among the people that are close to us. These jingles need to be shorter and easier to understand. Even we can write funny jingles for the people that would have a real sense of humor in their actual personal life.